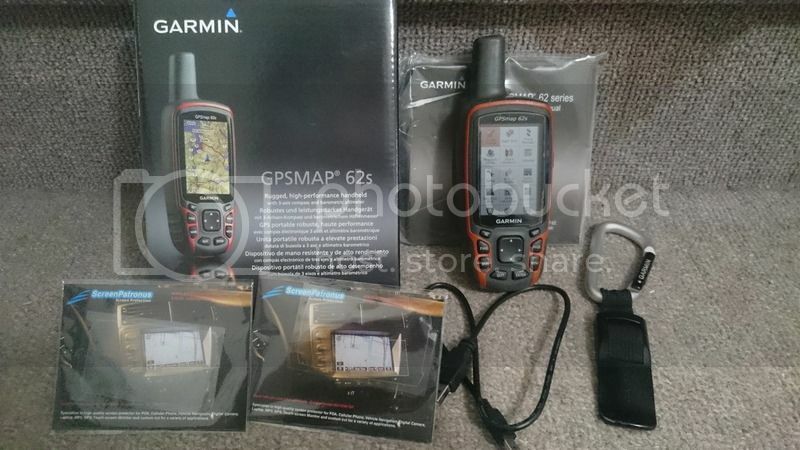 We've switched over to Oregon 600 GPS units, so I've decided to sell my GPSMAP 62s. I bought it new in 2013 and used it for about 20 months. Includes: GPS, USB cable, Garmin Carabiner clip, ScreenPatronus screen protector (installed), as well as 2 extra screen protectors (1 clear, 1 opaque). Also included is a 4 GB microSD card with OpenStreetmap map for Ontario, Quebec, and New York state, Ontario Trails project map overlay, and Dedale's NCC Trails overlay. Contact me through this site, my Geocaching profile, or Facebook or e-mail if you my info. GPSMAP 62s has been tentatively been sold.